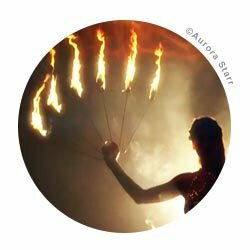 Buy Fire Dancing Equipment | Fire Belly Dance. You can buy high quality fire fans, fire fingers, fire palms and more here. These pieces of fire performance equipment tend not to be spun or manipulated in the same way as other fire props, with the possible exception of fire fans. Instead, these fire dancing props are often used to enhance and emphasise dance routines. Belly dancers regularly use fire palms, for example.